When we reach the milestone of 50, it is often assumed that many of us start to dream of retirement and taking life in general a little easier. But in fact, according to researchers, we tend to develop a new-found interest in exercise when we hit the big 5-0. 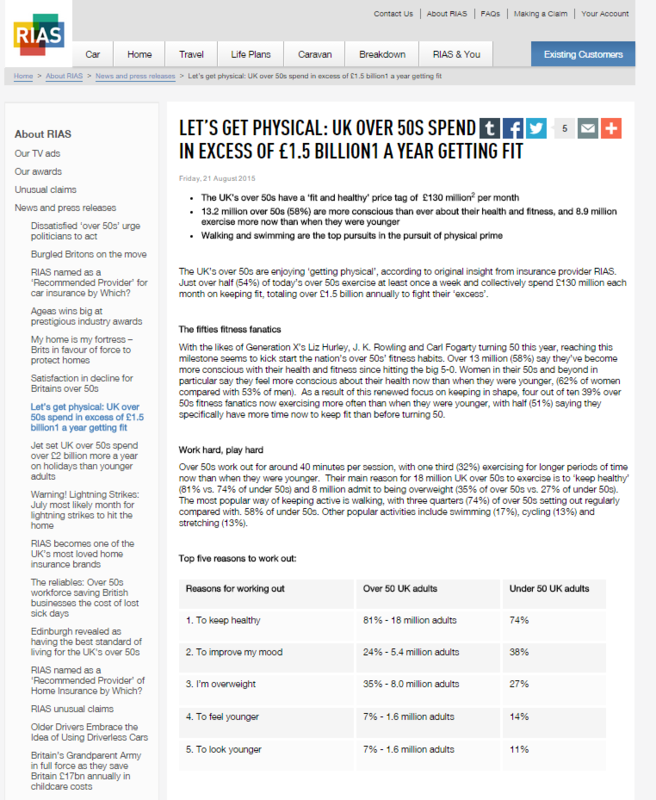 A study carried out by insurance provider RIAS found that the UK’s over-50s are splashing out £1.5billion a year on keeping fit, spending £130million each month on gym memberships and fitness equipment as well as a wardrobe full of brand-new workout wear. Needless to say, this story is a near-verbatim paste from the RIAS press release. 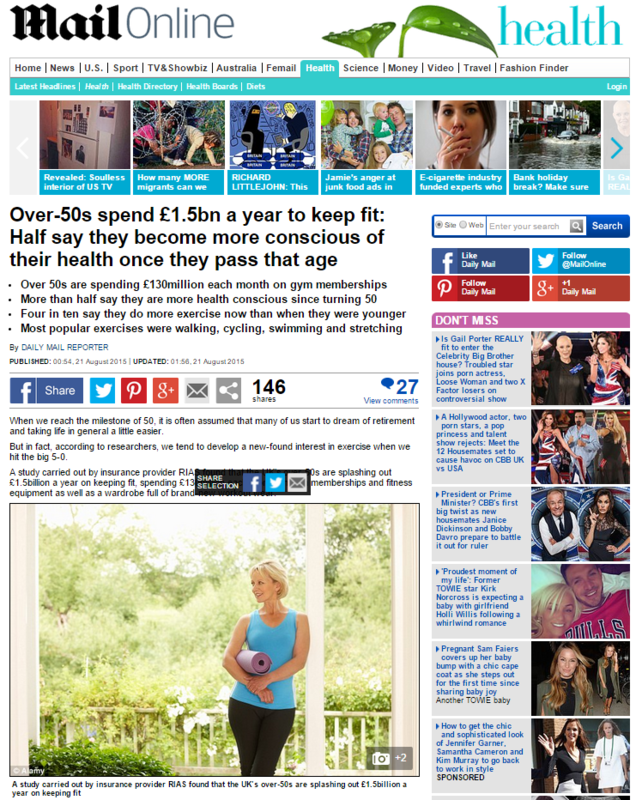 Peter Corfield, Managing Director at RIAS, added: ‘The UK’s over 50s take their health and fitness seriously and looking after themselves is an important aspect of their life. And, of course, while you’re considering all of the ways in which you’re embracing your new lease of life at the age of 50, don’t forget that all-important insurance – for when things inevitably go wrong – right, Peter? This entry was posted in RIAS and tagged daily mail, daily mail reporter, Opinium, Peter Corfield, Rias on September 11, 2015 by Michael Marshall.